Discovery Science presents the immersive and fascinating world of gizmos in its new series The Gadget Man 2 with Richart Ayoade. 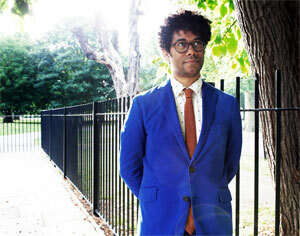 The six part series follows Richard Ayoade – the gadget freak who will take viewers into the whole new world of technology and unfamiliar trendy gadgets. The series will premiere on August 15 at 9 PM on Discovery Science. In each episode, Richard Ayoade will set off on a venture with few of his fellow gadget freaks like Stephen Mangan, Jimmy Carr, John Humphreys and Noel Fielding covering everything from the everyday to the extraordinary. Richard will offer his unique and engaging insight into the world of technology. He will attempt to show the viewers at home how ordinary everyday activities can be made more exciting by using the very best time saving tools available and how a simple looking gadget can even make your holidays interesting. In the series Richard will also invents a series of problem solving contraptions of his own and will be introducing the world’s most sought gadgets that will change the way we live our lives. Get ready to immerse into the world of gadgetry and lay your hands on the gadgets you would want to have.